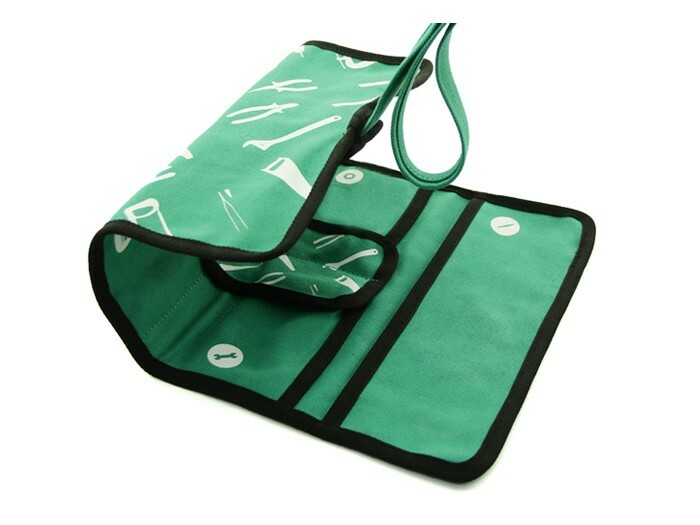 It is very convenient to store and carry out small tools with this canvas tool pouch, you may find it a perfect doily after spread out it when doing some solder works. The canvas is environment-friendly, durable and screen printed with fine patterns. And you can sign your name or make some special marks on the back of the label then a unique tool pouch have come out, congratulations!